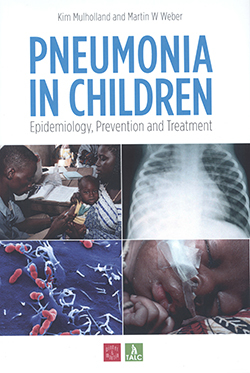 This comprehensive and evidence-based text covers the history, epidemiology, aetiology, pathophysiology, prevention, treatment and management of pneumonia in children. Based on World Health Organization clinical guidelines, there is a clear focus on public health and pneumonia in children in developing nations. It appears to have most relevance to nurses working in similar fields and contexts. However, due its varied content, specific chapters have relevance to most nurses who provide and/or develop child healthcare services. It would be useful as a reference text for student nurses to enhance their knowledge and skills in recognising and giving supportive care to children with pneumonia. The book is written in accessible language with terms explained simply in the text and glossary. Figures, tables and case studies provide clear illustrations of points made in the text.